An approved driver safety course (which includes a written and driving test). 50 hours of supervised driving with your parent, guardian, or other licensed driver who is 21 years old or older. It is important not to confuse a driver safety course (a teen Driver's Ed course) with a driver education and training course (a point reduction course for traffic violations), which is usually taken to remove traffic points from your record. Read below for more information about Nebraska driver safety options. If you take a driver safety course, or Driver's Ed, with a local school, you can get your learner's permit prior to the course, but it is not required. You must hold your learner's permit for at least 6 months before you can apply for the next driver's license level. If you have your permit when completing a driver safety course, you can apply for your provisional driver's license online. If you choose to complete the 50 hours of supervised driving instead of the driver safety course/Driver's Ed, you must first obtain your NE learner's permit. You must pass a written and vision test and wait until you turn 15 years old before your permit is issued. For more information on how to apply for a learner's permit, see our Drivers Permits in Nebraska page. If you successfully complete a Nebraska Driver's Ed course, your written and driving tests will be waived when you apply for your provisional operator's permit (POP). If you choose to complete the 50 hours of supervised driving, only your written test will be waived. The NE DMV website has a list of driving schools and their locations. Contact your local driving school for more information about fees and course schedules. A licensed driver over 21 years old. The supervising driver is responsible for teaching you the driving skills you'll need to successfully pass the Nebraska DMV road test. The Parent’s Supervised Driving Program includes helpful instructional information and forms. Once you complete your Nebraska driver's education course or supervised driving, you are ready to take the next step toward becoming a licensed driver, by applying for your POP or school permit (SCP). You can apply for your POP up to 60 days before you turn 16 years old; however, your permit won't be issued until you turn 16 years old. A school permit is a limited driver's license allowing students in rural areas to drive to and from school. For more information about a school permit, see our Drivers Permits in Nebraska page. Visit our Applying for a New License (Teen Drivers) in Nebraska page for detailed instructions on applying for your provisional driver's license. If you completed a driver safety course, you won't need to take the written and driving tests. If you currently have a learner's permit or school permit, you can apply for your POP online at the NE DMV website, otherwise you will need to visit a Nebraska DMV office in person. If you completed 50 hours of supervised driving, you will need to complete the driving test only. The written test will be waived as long as you have a valid learner's permit (or one that has been expired for 1 year or less). You must submit a completed School Permit/Provisional Operator’s Permit 50 Hour Certification (Form DMV 06-91) when you apply for your Nebraska provisional driver's license. 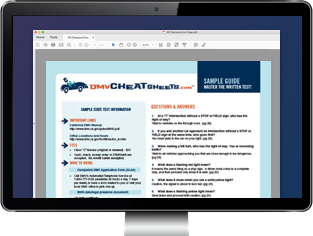 For related information, see First-time Drivers, Practice Tests, Teen Drivers, and Drivers Training on this site.